There are not many industries that Portugal can claim to be the world leader in, but cork is one of them. In fact around 70% of the world’s cork is exported out of Portugal and for quality natural cork stoppers, the figure is over 95%. So if you are buying cork from within your own country, the chances are that it originally came from Portugal. Southern Portugal has abundant cork oak forests, with 5.3 million acres in total (around 8% of the total land area of Portugal), giving an annual harvest of around 310,000 tonnes of cork. A number of national markets are dominated by local distributors who are typically buying their cork from Portugal, storing it and selling from stock. Here at CorkLink, we supply the end customers (be it the bottler, builder, furniture maker or whoever!) direct. This allows our customers to have more input into exactly what they buy, rather than having to buy stock items. So for example when we have a new client interested in buying cork stoppers, particularly for bar-top corks, we generally ask for a sample of several of their bottles and we check the internal profile of the neck of the bottle, checking to see both consistency between bottles and also how the bore of the bottle changes along the length of the cork. This enables us to give a recommended cork size to within 0.2mm for the diameter of the cork. 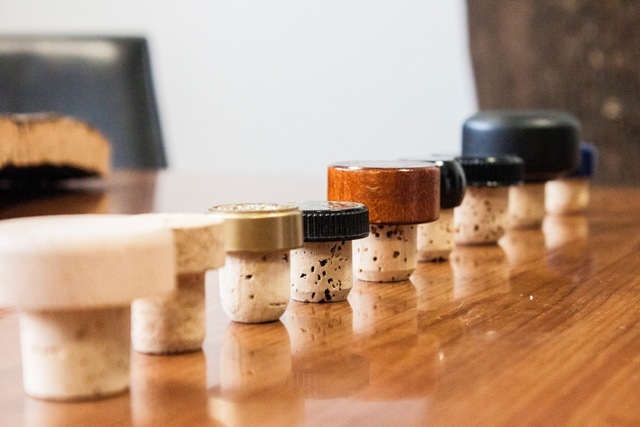 We can then also look at some different surface treatments that the corks may have, as well as branding on the corks and again in the case of bar-tops a huge variety of capsules (wood, metal, plastic, with a series of different surface treatments available). Buying direct from Portugal will also help to keep your costs down as you are buying direct from source and another key advantage is that in the case of natural corks, you can be sure that they will have been sorted and graded correctly, whereas many distributors mix up the different grades of corks in order to pass off lower quality corks as premium. So if you are looking for a cork supplier, then why not buy direct from Portugal. And if you are going to buy cork from Portugal, then you just need to speak to CorkLink!